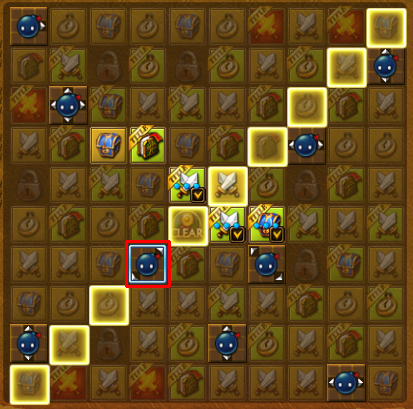 With the Khara Quest System, you can find yourself straying far off the questing path with its objectives. The world is full of challenges and the only way to discover them is to continue exploring! These side missions, when completed, will reward you with Khara titles that boost your character to greater heights! When you first open your Khara Quest window, what appears before you is a vast, grayed out slate of quests. This is just the start of your side-quest journey! As you explore the world naturally, Khara Quests will begin unlocking for you to challenge! Upon completing Khara Quests, you will receive a flashy quest complete icon. 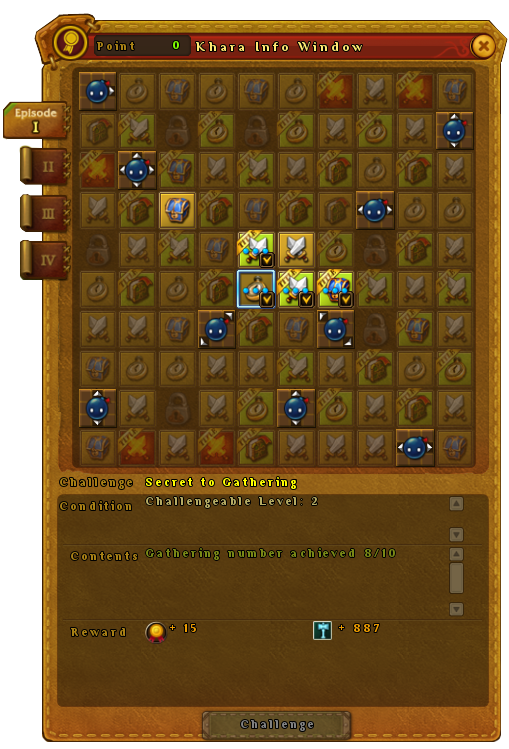 Afterwards, you'll find more and more quests unlocking! Some of these quests will even give you powerful titles to equip to your character to aid in your adventure! To equip your titles, open your Khara window and along the right side will be an arrow that will expand the Titles window. Scroll down the list and select your title! Discover bonus missions by completing missions in a horizontal, vertical or diagonal sequence and be surprised when you happen to unlock a Hidden Mission! 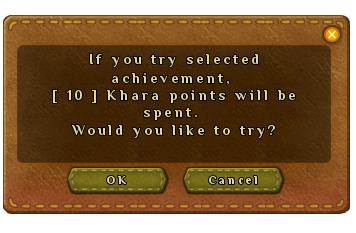 Enjoy the Khara Quest System to its fullest extent by exploring the world and completing objectives!